If you are going through a divorce or separation you will need to come to an agreement about your marital finances. 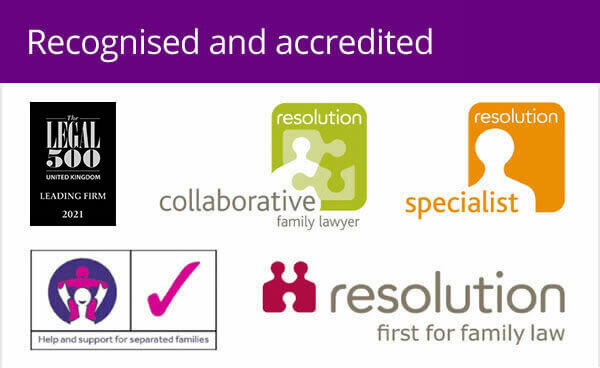 You can do this with, or without the help of a family law solicitor, although you may wish to take advice on your options. Often there will be immediate financial concerns which need to be addressed. A discussion with a family lawyer at Woolley & Co will help put your mind at ease. Even where you have no or very few matrimonial assets to divide it is important to draw a line under the relationship, legally. You do this by obtaining a Clean Break Consent Order. This will prevent either party from making a claim against the other at some time in the future, and protects things like a lottery win or future inheritance. If you and your spouse have agreed how to divide your finances, you can have a Consent Order draw up by a solicitor. This is a legally binding document that will record what you have agreed. It may include a clean break, which will ensure neither party can make any claims against the other in the future. If, initially you cannot agree on how to divide your finances, or you wish to make sure any settlement is fair you should always take advice from a specialist family lawyer. By helping you understand what you might be entitled to, by way of spousal maintenance for example. By ensuring you have full disclosure from your spouse, before any settlement is agreed. By negotiating on your behalf with your spouse directly, or with their solicitors. By advising you through mediation, which is another way you might try to reach agreement with your spouse, and then drawing up a consent order. By preparing your case for court, if necessary, to demonstrate to a Judge the financial settlement that you need. The video below explains these options in a little more detail. 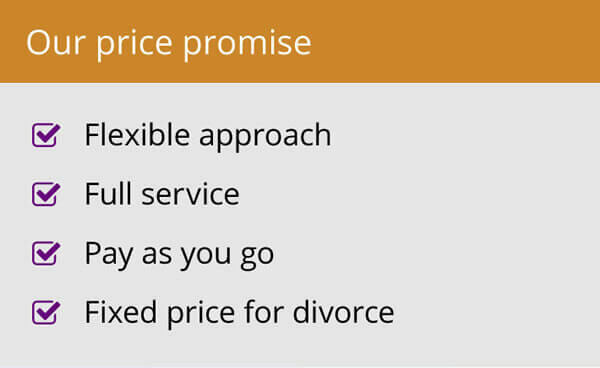 What is the starting point in deciding what is a fair divorce settlement? A 50/50 split may not be advisable depending on whether a party needs income or capital to move on with their life. If one party will take on more of the child care duties this might influence the division of assets too. If a judge is called upon to make a decision, they will look at all of the circumstances and consider all of the matrimonial assets. What more should I consider in reaching a financial settlement? How the family home is dealt with on divorce, who will live in the family home or whether it will need to be sold to divide the assets. This will depend on the circumstances in each case. 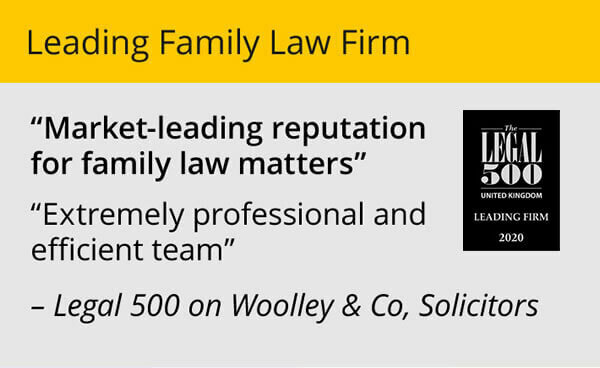 An initial discussion with a family lawyer at Woolley & Co will help clarify your position. Whether you are entitled to spousal maintenance. This depends principally on the recipient’s needs, own income and ability to earn income. How each parties pensions will be dealt with on divorce. Pensions can be complex and confusing but are often one of the largest assets to consider in divorce, it is therefore essential to obtain the correct information and take advice on the options for pension sharing and offsetting. What will happen to savings, investments and debts. Perhaps surprisingly all are considered as part of the matrimonial pot. Serious debt and bankruptcy can have serious implications for the financial settlement on divorce, and legal advice should always be sought in circumstances where the bankruptcy of one of the parties is a real or possible risk. Call Woolley & Co, family law solicitors on 0800 321 3832 for advice on reaching a divorce financial settlement, or complete our online form. Woolley & Co can assist if your spouse dies before financial matters in divorce are included. We can also advise on claims for financial support when a spouse or partner has died without making proper provision for you. You should always consider taking legal advice about what types of financial settlements are appropriate and enforceable even if you believe you will be able to agree matters with your partner. You need to know that decisions you make about how to share various financial assets, including property, pensions, savings and investments won’t have a negative impact upon you that perhaps you had not anticipated. For advice on agreeing a fair divorce settlement or help to make the settlement legally binding contact Woolley & Co on 0800 3213832.